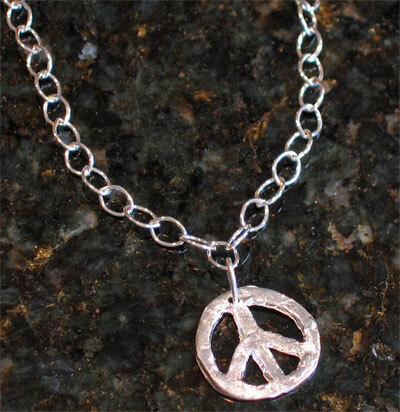 Handcast Sterling Silver Peace Sign Necklace. 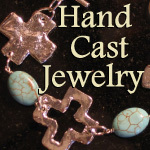 Chunky chain is adjustable from 15" to 18". Peace Sign measures 1" x 1". The Artist's thumbprint has been cast into the silver peace sign as a part of the design. Very unique!